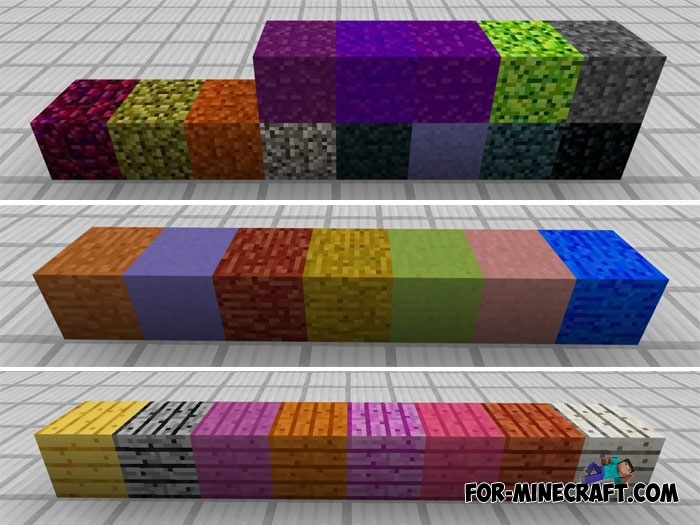 Why not paint blocks in Minecraft PE? This would be a great opportunity to create truly impressive buildings not only from wool and terracotta but also through colored fences and dirt and wooden blocks. 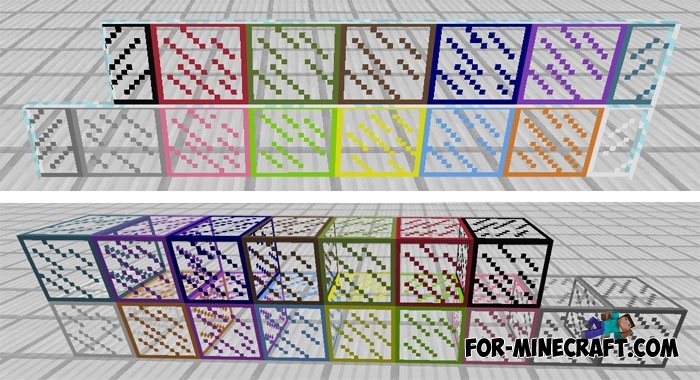 Right now this addon embodies this idea in reality and adds just one command for colored blocks. How to paint the blocks? Only a few types of blocks are available to you: ground, wood, stone, glass and glass panels (they are already added to Minecraft PE 1.2) and wooden fences. These types of blocks can be painted in any of 16 colors (for some this number varies between 13 and 16). 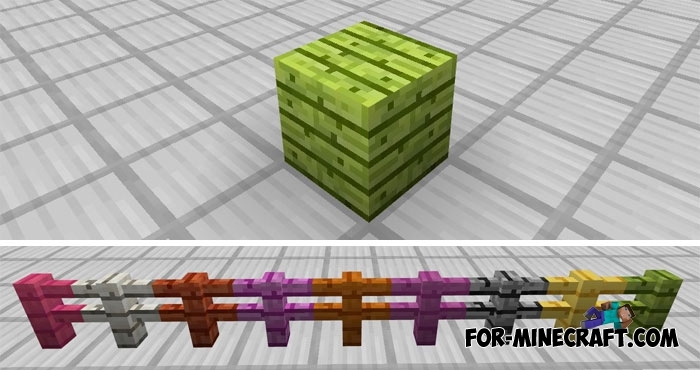 To get a colored block, type / setblock ~ ~ ~ . After this, build beautiful structures that were impossible without colored vanilla blocks. Oh yes, the Colored Blocks and Fences addon is based on the original textures without any changes or distortions. How to install the Colored Blocks and Fences addon?